McStreamy.com – The United States Senate confirmed President Donald J. Trump’s nomination of Brett Kavanaugh to fill a seat on the United States Supreme Court by a vote of 50 to 48, Saturday, October 6, 2018. The final vote took place following a contentious confirmation battle between Republicans and Democrats during several weeks of hearings. The final day of the process saw numerous opposition outbursts by the public in the Senate chambers and on the Capital grounds in front of the Congressional and Supreme Court buildings in Washington D.C.. 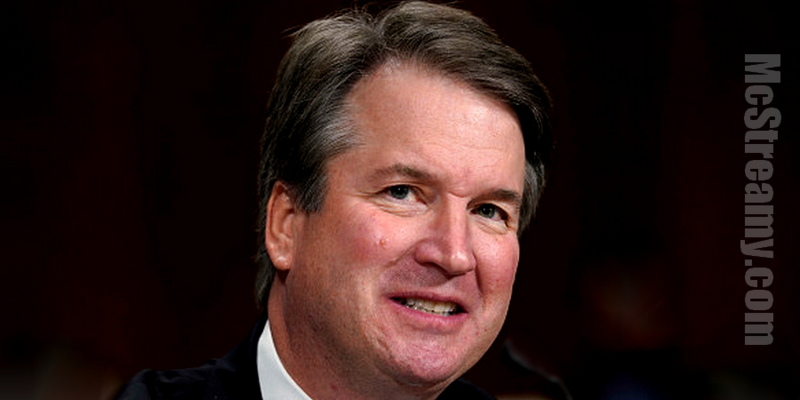 Accusations of alleged sexual misbehavior and excessive drinking during high school and college years explored during the hearings in the final days were found to be disproved to the satisfaction of the Senators who voted in favor of approving Kavanaugh. Democrats complain that a supplemental FBI investigation into the claims was hampered by the White House in it’s apparent instructions to the FBI that limited the scope of the additional investigation.